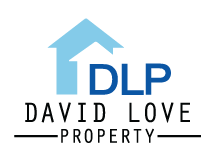 David Love Property provides landlords with a wide range of Landlord / Safety Certificates many of which are mandatory by law if you are planning to let out your property. Some of those safety certificates are: EICR Certificates, EPC Certificates, Gas Certificates, PAT testing, etc. We cover all areas of Edinburgh, Dalkeith & the rest of Midlothian. There are no extra costs or hidden charges. Over time all electrical installations will deteriorate which is why it is very important to make sure and have them checked and tested over so often. Our team of certified electricians is able to carry out an electrical inspection for you and make sure all of your electrical installations are safe and in good working order. After carrying out appropriate checks presuming there are no faults in electrical installations you will be issued with and EICR certificate (Electrical Installation Condition Report / Periodic Inspection Report)’. We will also point out and be able to repair any faults that we might find. This in turn prevent the risk of electric shocks, fire hazards, etc. Such inspections can only be carried out by accredited specialists, our registered electricians are available to check the condition of your electrics and you can rest assured that their expertise will help make sure that your property is safe and compliant with the local safety legislature. Our gas registered engeneers are also available to carry out checks and repairs of your gas installations / appliances. They will check that such appliances are in good working order, that they are operating correctly, that there are no harmful gases in the property, and that all the safety devices are in working order. They will identify any faults and will be able to carry out repairs. You should carry out a gas safety check annually. If you are a landlord who is renting a property you must do it by law. If you are a business owner and work with staff, such as in a shop, a warehouse, an office or a landlord renting a property you might have heard of the need to carry out PAT testing. We are also able to provide PAT testing. Portable Appliance Testing tests all electrical equipment that is portable. It will consist of a visual inspection and also an electrical test using special equipment as not all faults are always visible. After the inspection each item that has been checked will get a sticker if it passed or failed. If it passed – the appliance is deemed safe to use until the next inspection. If failed – we are able to offer repair services if required. You are advised to have PAT testing done annually. If you are based in Edinburgh, Dalkeith and Midlothian why not contact David Love Property and see how we can help you with your landlord certificates.